Today we’re happy to have G.G. Andrew, fellow author of stories with premises readers might just hate, talking about her book Somewhere Warm. There’s a long history of jerks in romance. From standoffish Mr. Darcys who reform themselves to cold players who change their ways for the love of the right person, we adore a guy who’s initially hard to love. But there’s one type of jerk who’s really, really hard to love–or even like. You friend’s ex. Especially one who hurt her. That guy is your enemy, strictly off-limits unless you’re pinning needles into his voodoo doll likeness. That’s the guy I wrote about in my short story SOMEWHERE WARM. I must be a jerk too, at least to myself, because when I come up with a story idea and think, “I can’t possibly pull that off,” I obsess over it until I figure out how to write it in a way that makes sense. And so it was with the premise of a woman falling for her best friend’s awful ex, the one she’s heard nothing but bad things about. In SOMEWHERE WARM, Zoe goes to retrieve the last of her best friend Haley’s things from Haley’s ex, Evan, whom Zoe understands to be controlling and mean. And when Evan opens the door of his Maine cabin, he’s just that: gruff, unshaven, wanting Zoe off his property as much as she wants to leave. But then a snowplow backs into Zoe’s car and she’s stuck inside Evan’s cabin with him, forcing her to confront who he really is… and her growing attraction to this mean guy with the Boston accent. The truth, as it often is, turns out to be stranger than fiction. If you like your guys gruff and wearing flannel, check out SOMEWHERE WARM for yourself. It’s currently free at Amazon and other major stores through New Year’s Eve. What if you fell for your best friend’s ex—the one that had made her life a living hell? All Zoe had to do was pick up a box of her best friend Haley’s things from Haley’s brooding ex-husband, Evan. She didn’t expect her car to get hit by a snowplow. She didn’t expect for the icy Maine blizzard to start early. 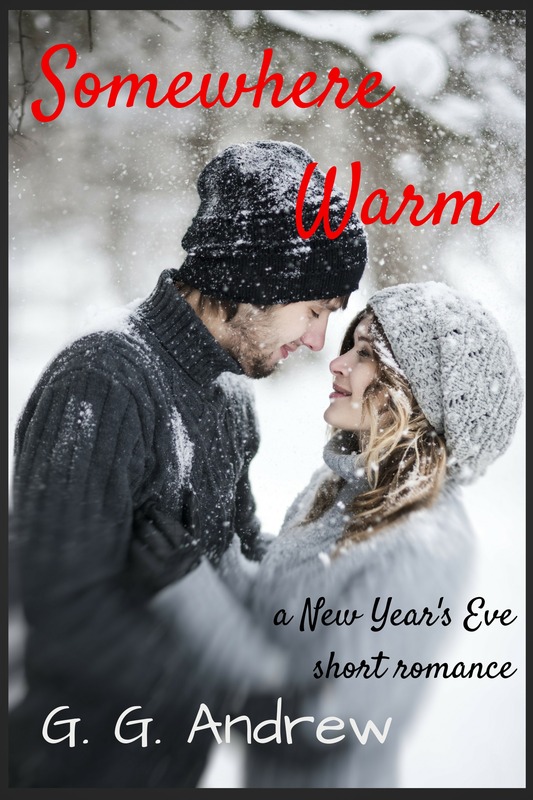 She didn’t expect to be stuck inside Evan’s warm cabin—alone with him—on New Year’s Eve. And, most of all, she didn’t expect to come undone by the heat in Evan’s eyes. G.G. 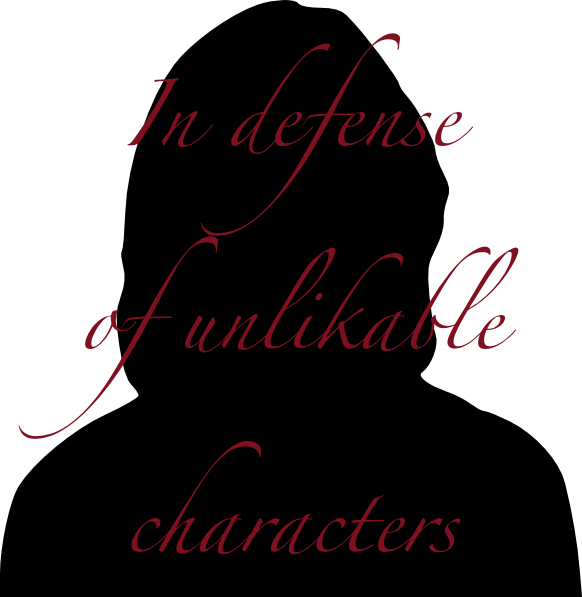 Andrew writes quirky romantic comedy–stories about people who fall in love with the most unlikely person, and stumble through some awkward conversations, mistaken identities, and ill-advised kisses along the way. She hosts the Writers Who Read interview series, which features a writer each week geeking out over books and reading. An avid book nerd, she also enjoys British comedy, black licorice, neon pink, frozen concoctions, monster movies, and any type of rom-com. She’s probably drinking tea right now. If you’d like to find out more about G.G. Andrew’s writing, you can visit her website at http://ggandrew.com/ and join her mailing list for more free stories and other treats. She’s also lurking on Twitter (@writerggandrew) and pinning recipes she’ll never cook over on Pinterest. This entry was posted in Het romance, Other people's books, Unlikable Advent and tagged het romance, other people's books, unlikable advent. Bookmark the permalink.